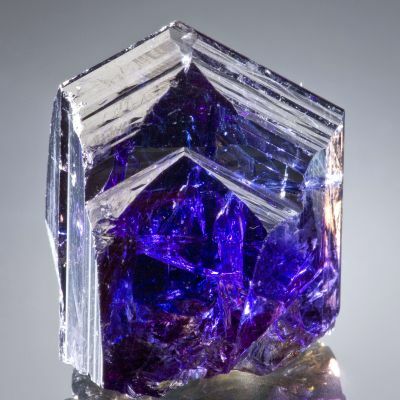 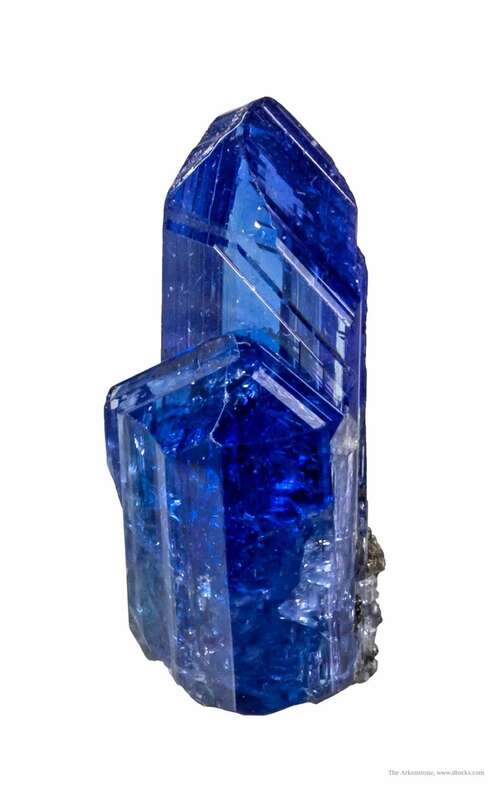 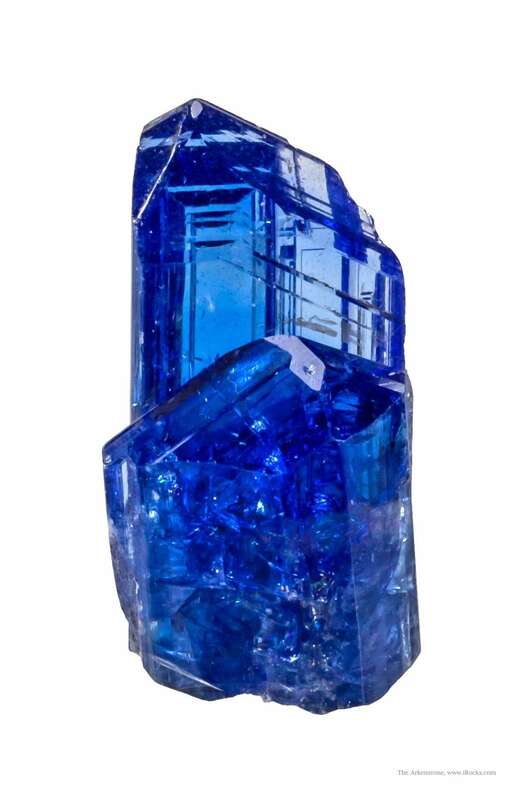 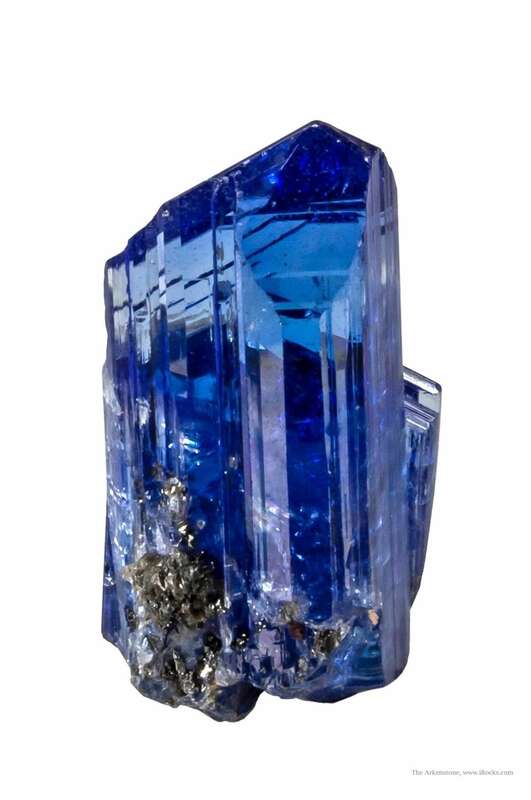 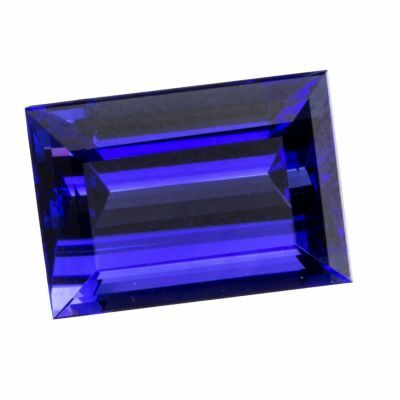 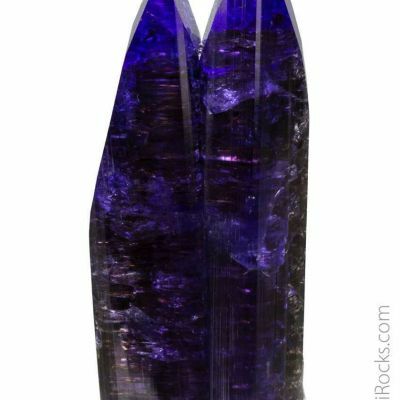 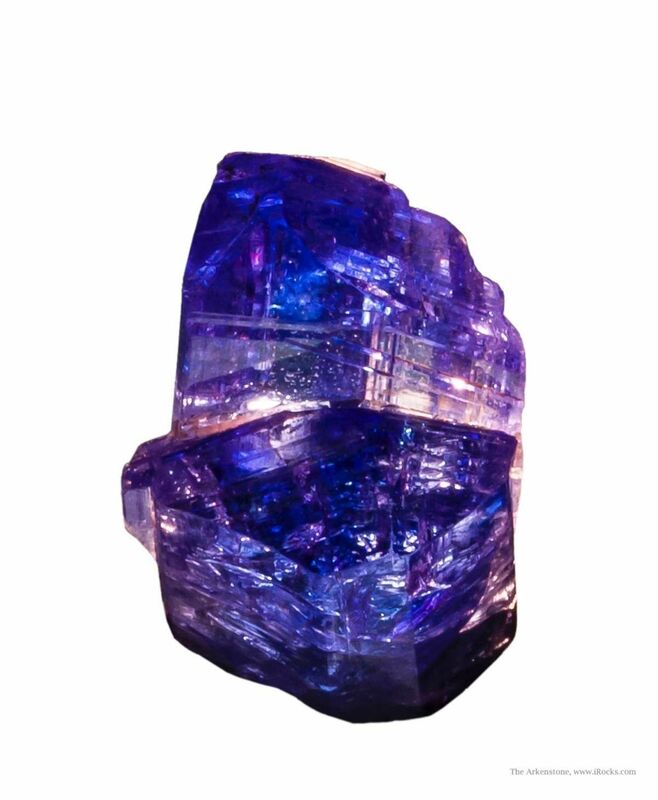 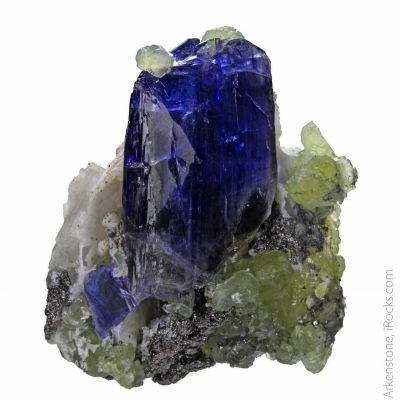 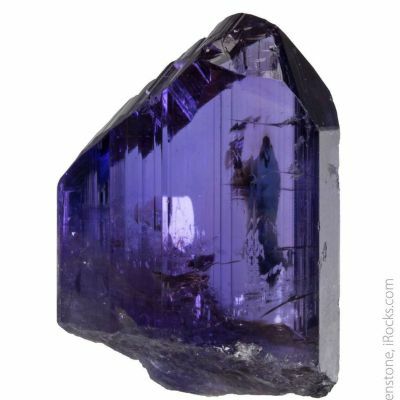 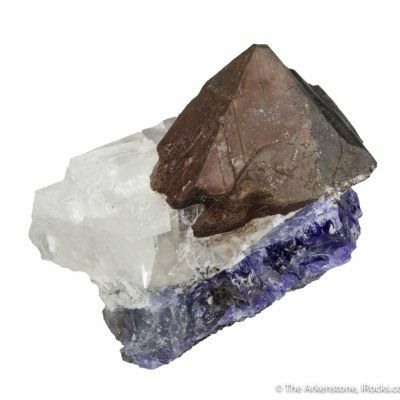 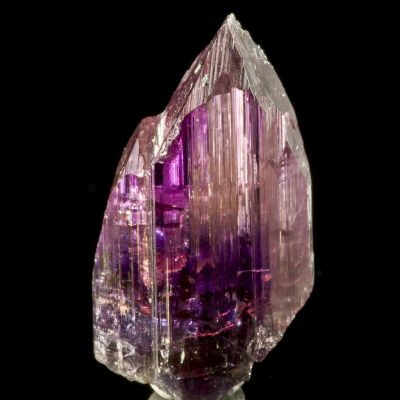 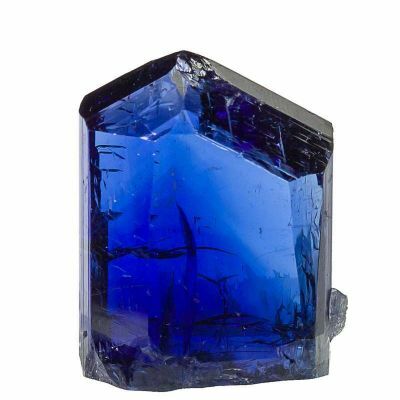 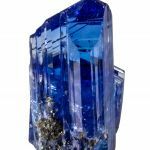 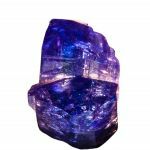 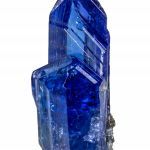 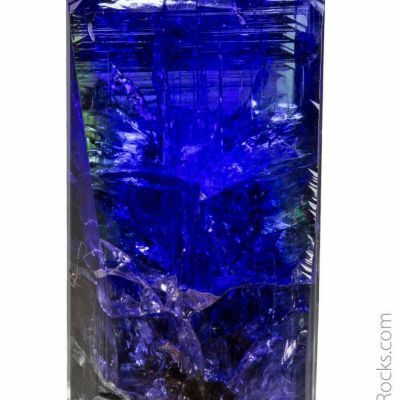 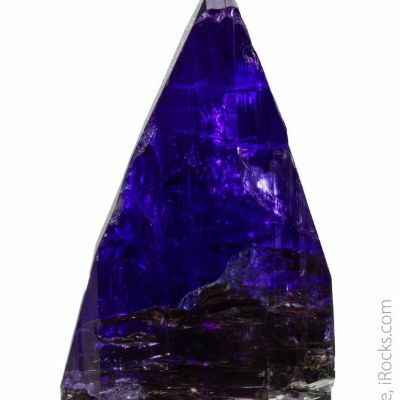 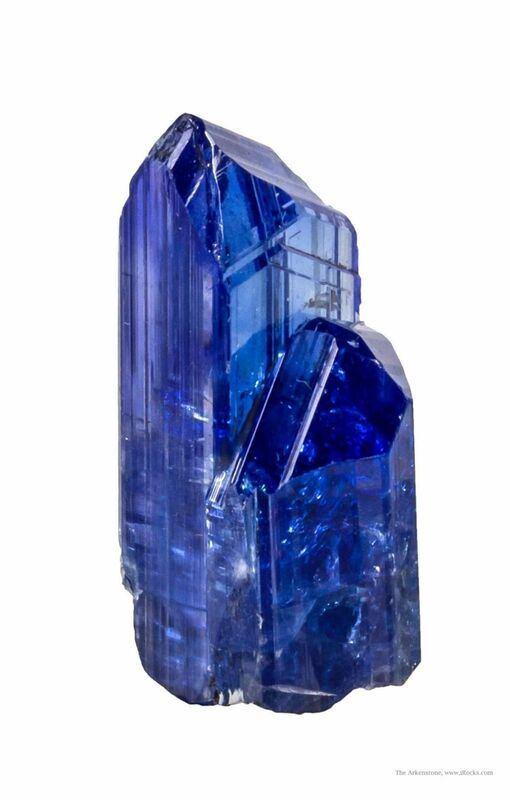 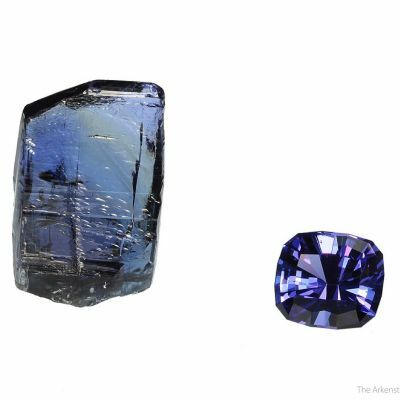 This is a glassy and gemmy tanzanite crystal featuring two crystals, to 3.1 cm in length, side by side. 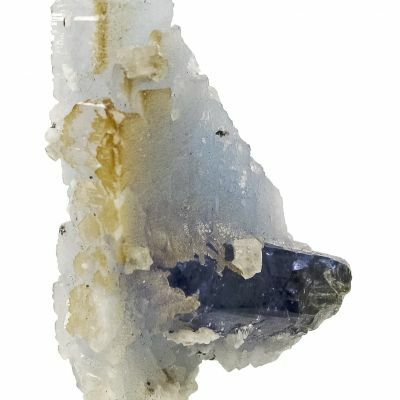 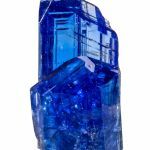 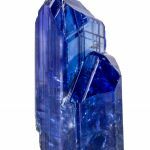 The crystals are trichroic in that they exhibit both the blue and purple hues with an additional faint pink color when lit down the C axis (proving it is natural and not treated by heat). 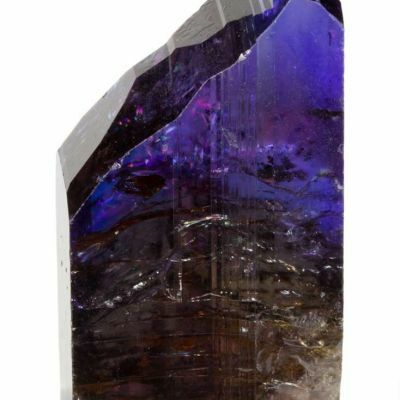 It has gorgeous color and luster and is like glass in person - more so than the photos can indicate. 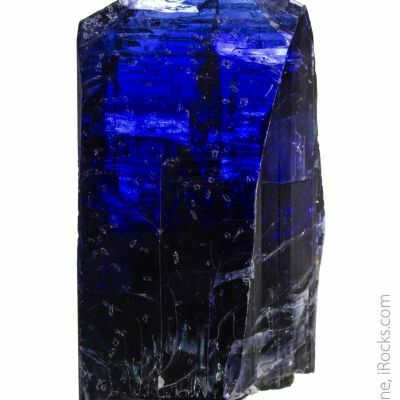 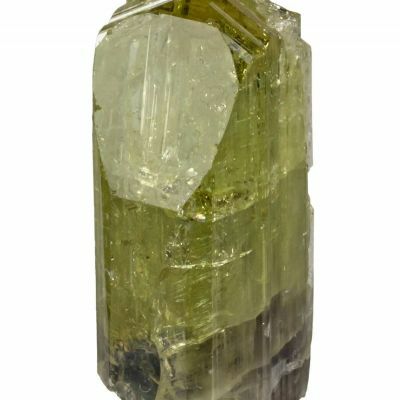 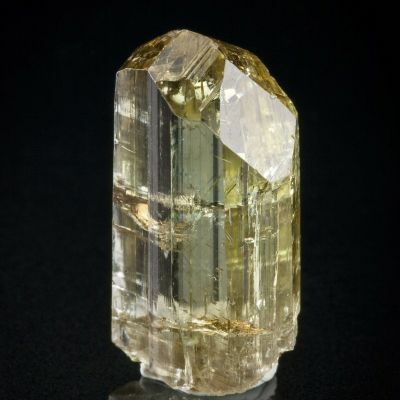 The gem weight is 57.30 carats.